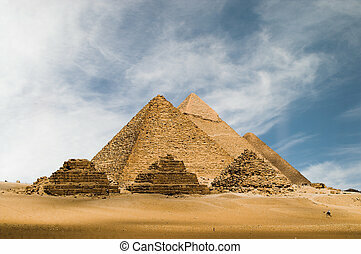 Pyramids of gizeh fantasy. 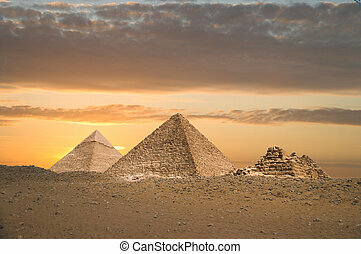 The pyramids of gizeh near cairo in egypt during a golden sunset. 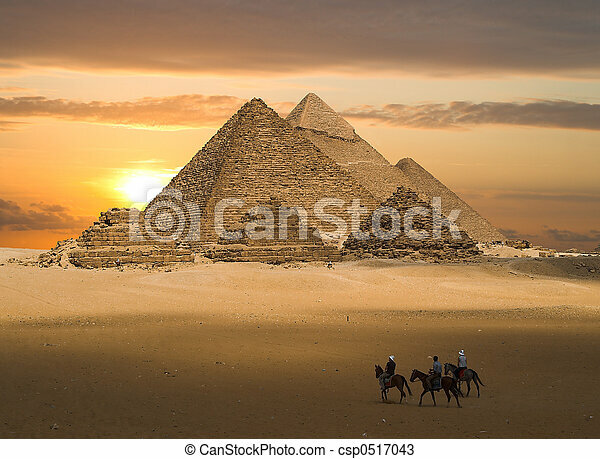 Giza Pyramids in desert early morning. 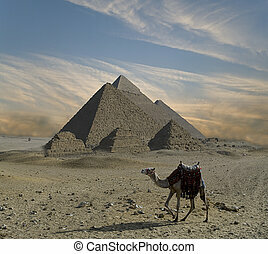 Camel walking by. 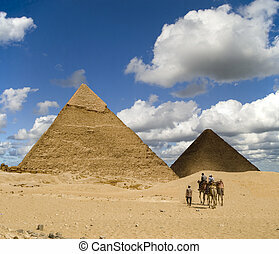 Panorama of the great pyramids. 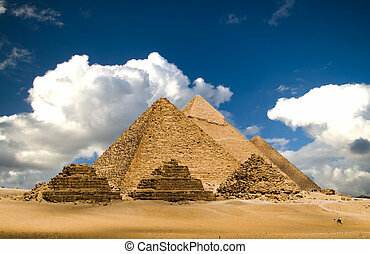 Pyramids of Gizeh near Cairo in Egypt on a cloudy day. 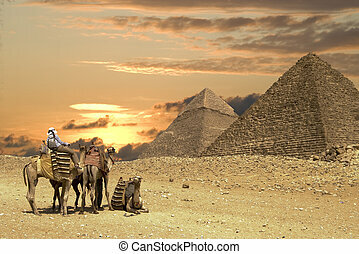 A new day at the Pyramids of Gizeh near Cairo in Egypt. 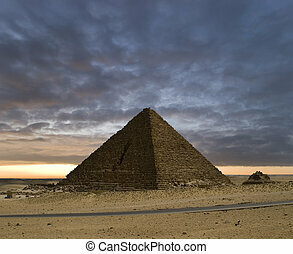 Pyramid of Chefren with stormy sky. 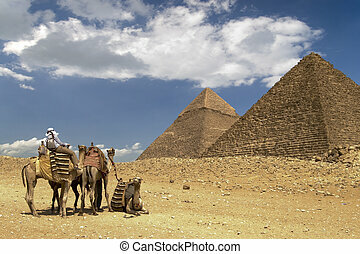 Tourists on Camel near the Great Pyramids of Gizeh Cairo Egypt. 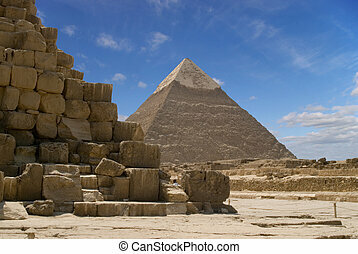 The great pyramids in cairo egypt. 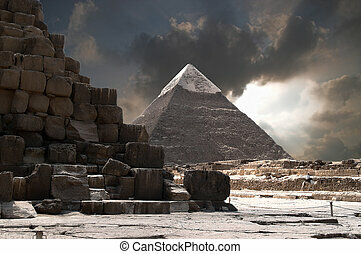 Pyramid of Chefren from behind Cheops nesr Cairo in Egypt. 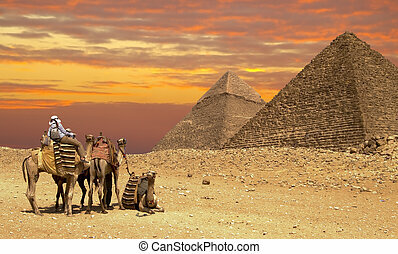 People on horseback visiting the pyramids of Gizeh. Cheops and Chefren. Group of Tourists in the Sahara heat near the Pyramids of Gizeh. 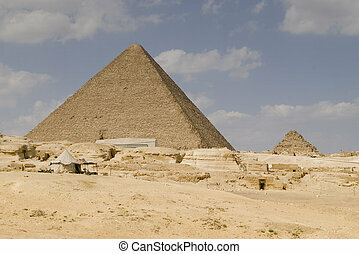 The Great Pyramid of Gizeh in Cairo Egypt. 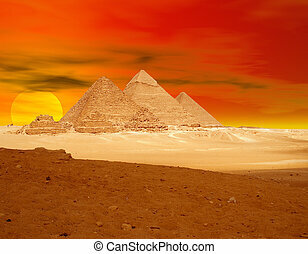 Orange pyramid sunset in Egypt. 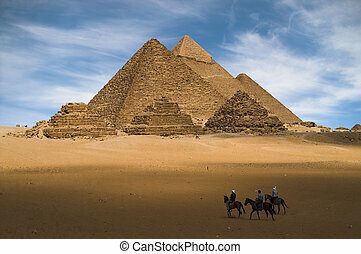 Tourists on the way to Cheops Pyramid in the Egyptian Sahara.